As summer approaches (at what we feel like is lightning speed), our skin hydration levels deplete. Thanks to lots of sunshine and long boozy lunches, our makeup lasts nowhere near as long (cheers, humidity) but yet we need (OK, maybe it’s more want) to look fresh, dewy and glowing at ALL times. The solution? Not layering on more makeup, nor skin serums or moisturisers. The answer is in cult-status facial sprays. 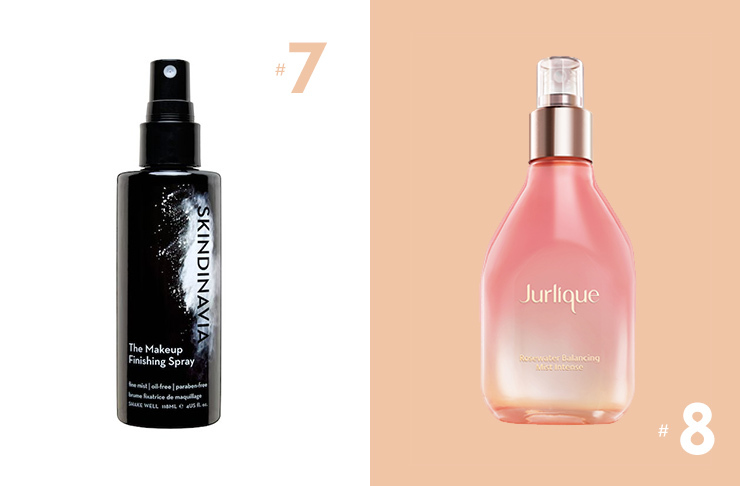 These miracle, multi-tasking mists can do everything from boosting hydration and radiance to minimizing pores, keeping makeup in place to even (faux) tanning your face! 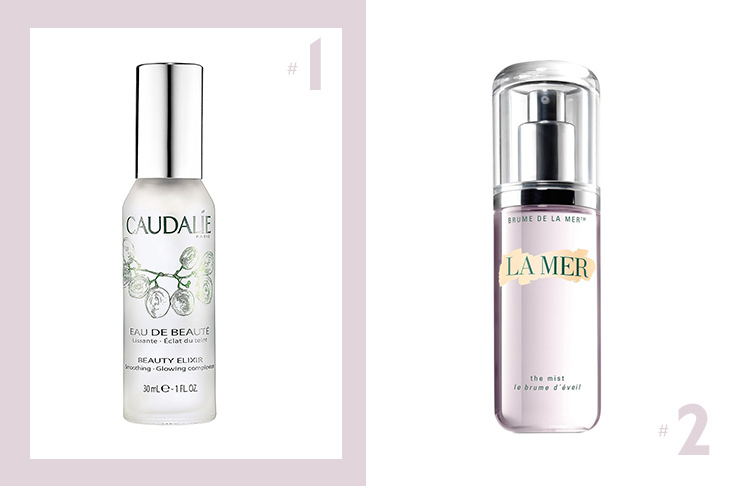 Here are 8 of the very best facial mists to try this summer. This facial mist has reached next-level cult status; and there’s a damn good reason why. It hydrates and smooths the skin, reduces pores ands boosts radiance. Everyone from Victoria Beckham, to Cara Delevinge and Liv Tyler are all reportedly die-hard devotees of this miracle mist. La Mer needs no introduction; it is the ultimate in luxury skincare. Their signature facial mist does not disappoint; nor does it cost your entire week’s salary, which makes it the perfect product to try if you’re new to the world of La Mer (and of course, also perfect to impress apartment guests when it takes pride of place on your vanity). It’s complete with highly charged waters and marine and botanical extracts that heal, hydrate and smooth fine lines comes 3PM. Whether you’ve spent too much time in the sun over the weekend, or substituted your 2L of water for back to back coffees, if your skin is ever left feeling taught and dry, it’s in serious need of moisture. 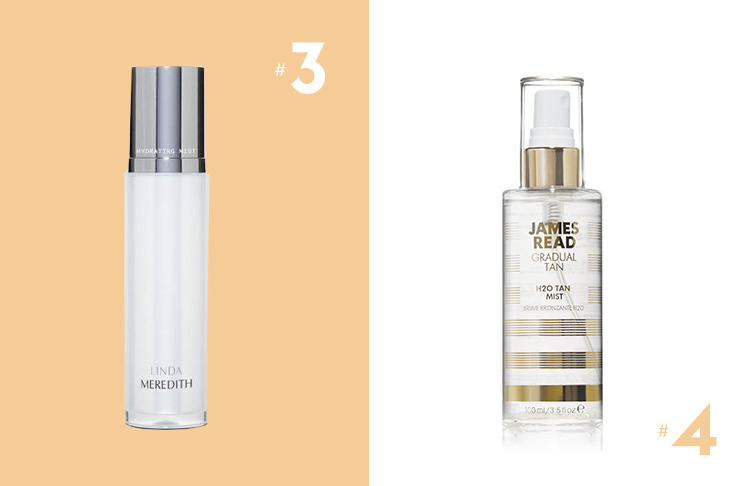 We’ve found the solution, a spritz (or three) of Linda Meredith’s Hydrating Mist. It’s complete with super high concentrations of hyaluronic acid (AKA a miracle ingredient that increases skin moisture in seconds). Hello there, Summer in a bottle! Don’t want to expose your face to the sun? Couldn’t be bothered fake tanning your face? Luckily the prayers of all faux-tan-aficionados have been answered with James Read’s brand new H20 Tan Mist. It’s a gradual self tanner infused with hydrating rosewater with an added boost of vitamins and minerals… It really couldn’t be easier to get your glow on. Soothing minerals, tick. Nourishing botanicals and herbs, tick. This vitamin-rich, no-frills mist is made up of 98% herbs soaked in cold water. Just a quick spritz delivers ridiculously hydrated skin… dull complexions don’t stand a chance! Ever heard of Pitera? Didn’t think so. 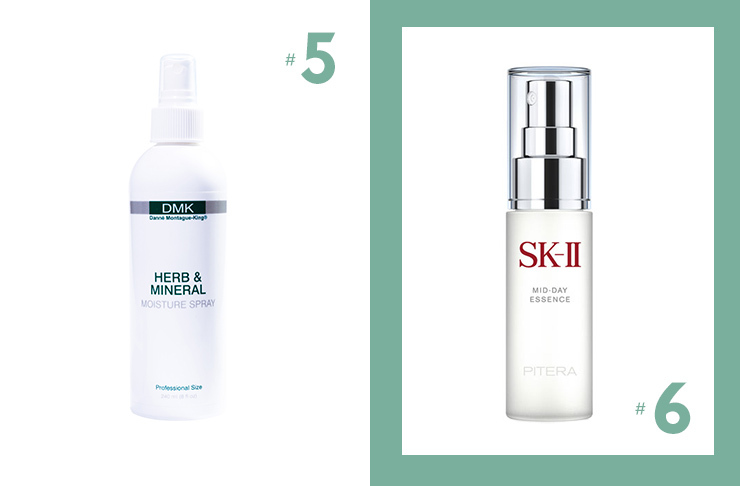 It’s a Japanese miracle ingredient that keeps skin incredibly soft and youthful, and it’s found in abundance in SKII’s Mid-Day Miracle Essence. Just a single spritz provides up to 4 HOURS of moisture and leaves skin refreshed and dewy. Surely we’re not the only ones that come 3PM more makeup is found on our collar than on our actual face? If you too find your makeup slowly but surely sliding off your face throughout the day, Skindinavia’s Makeup Setting Spray is the OG makeup setting spray, first designed to withstand bright lights on movie sets and runways. This skin-saving spray will keep your face in tact for up to 16 hours. Like spring in a bottle and a (literal) rosy glow on demand; Jurlique’s Rosewater Mist is loaded with flower extracts and pure rosewater. It balances skin ph-levels whilst hydrating and protecting your complexion. It also smells ah-mazing!